Off on your holidays and worried about missing out on Doctor Who? iPlayer (and the other UK catch-up services) won't work if you're using a device that's out of the country, but it is possible to fool these services into thinking you're still within British borders. With the help of a well-chosen utility such as a VPN you can appear as though you're accessing these sites and apps from inside the UK no matter where you are in the world - there are plenty of tools to choose from and we'll guide you through everything you need to know to get set up. When you sign into the web, your IP (Internet Protocol) address reveals where in the world you are, just like your postal address reveals where you live (follow this link to check). 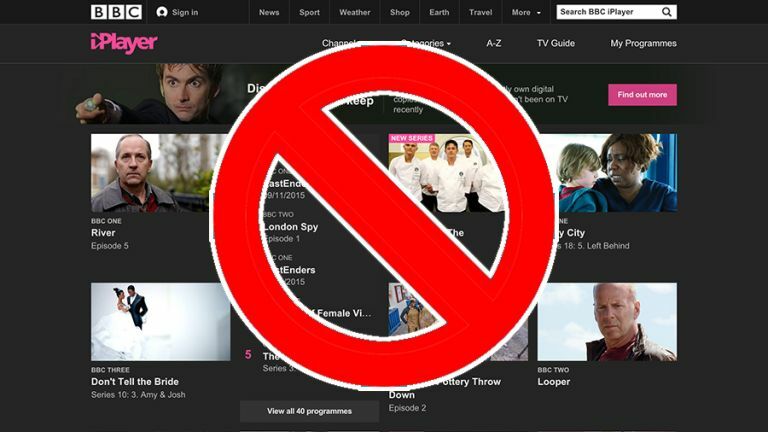 If you're not in the UK then a lot of online catch-up services, including iPlayer, aren't going to let you watch your favourite shows - otherwise anyone in the world, licence fee payer or not, could access BBC content. What you need in this case is an application that routes your internet activity through a valid UK IP address, solving your problem instantly. The most comprehensive tools for the task are VPN (Virtual Private Network) programs, though you can also use a simpler DNS switcher or proxy tool - the latter option is typically more straightforward and faster, but isn't always as safe or as flexible. It's worth noting that you're in something of a grey area legally if you decide to install one of these apps: the BBC, for example, only has rights to broadcast its iPlayer content within UK borders. Of course that doesn't make sense for taxpaying British holidaymakers wanting a fix of Antiques Roadshow while they're in France for a week, but until the regulations recognise that television has evolved into a global, on-demand, online medium you should be aware that this kind of activity isn't 100 percent within the rules. Run a quick web search and you'll see companies and software developers are falling over themselves to offer you a simple and cheap VPN or DNS app. Recommending the best one is difficult: not only does testing just one service take a lot of time and research, programs are coming and going all the time. Generally speaking, paying a few pounds a month is a safer and more reliable option than hunting for a safe and completely free utility. Among the most well-known and reliable options out there are TorGuard, IPVanish (which we've tested below), Hotspot Shield, Hola, MediaHint, Unblock-Us, SaferVPN and Smart DNS Proxy, though there are plenty more to pick from. Some prompt you to install a desktop utility whereas others work through a browser extension. Remember that signing up with any service involves trusting it with your data - you're effectively allowing another company to reroute all the 1s and 0s coming to and going from your devices. A quick look at a company's website and a careful look at its terms and conditions should put you on the right path in terms of picking a favourite. Keep your eye on online reviews and round-ups as well if you want to know whether a service is reliable and genuine (the trouble is, some appear very trustworthy right up until the moment they're not). You can get free trials for many of them, which should give you some idea whether they fit your needs, and if all else fails ask a friend or neighbour for some recommendations. While we can't provide step-by-step instructions for every VPN and DNS service out there, we can show you an example of what's involved using IPVanish. It's one of the most expensive but also one of the most secure options available at the moment, and it works across all major computer and mobile platforms. Fortunately, the setup processes for most of these services are straightforward and user friendly, so whichever one you choose you shouldn't run into many difficulties. The IPVanish application gives you a choice of worldwide servers to log in from, and you can also opt to pick a location from a map. Jumping between cities and countries only takes a couple of clicks, while the front screen of the dashboard shows you the current activity on your internet connection. More advanced port and protocol settings are available for users who want to tinker around, but the software is simple enough for anyone to use. With your software of choice up and running, a quick reboot and you should be able to select a new location for your computer - one which will give you access to BBC iPlayer and all the other services you were previously locked out of. Liked this? Why not read What is the BBC Store? And why does it exist?